This soft, white eraser is ideal for use with charcoal, graphite, and pastels. The General's Tri-Tip Eraser is made from a non-abrasive, latex-free material that is gentle on paper. Its triangular shape allows for erasing small, detailed areas. The Tri-Tip can also be used for adding highlights to your work. 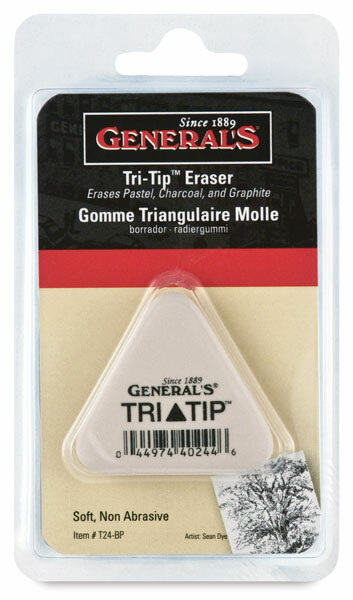 ® General's is a registered trademark of the General Pencil Company.™ Tri-Tip is a trademark.